Barclay’s newest offering utilizes 8 years of research and a lifetime of record collecting to present the first definitive collection of one-note guitar solos from dozens of classic pop/punk/blues/indie rock/etc. songs. The accomplished disk jockey's skillset and attention to detail is nothing short of remarkable: each carefully chosen sliver of music is strategically arranged into captivating movements that leap across genres with expert transitions between solos as Barclay cued and played the songs directly from the original vinyl records. The analog experience comes complete with the native hiss, crackles and pops of each record, and each tape is dubbed in real-time from a master cassette to retain the medium's warmth. A highly addictive listen that reveals a fresh and unique interpretation on the art of DJing and modern music, "One Note" focuses in on forgotten moments that normally go unnoticed in casual listening: bridges, interludes, outros and fractured shards of minimalist guitar solos that. Guaranteed to be a hit at parties, dissipate traffic and ruin first dates. 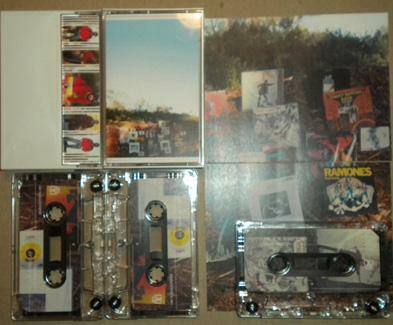 The packaging for each copy exposes a different selection of album covers from the records used in the making of this tape. More info about the artist: Dr. David Barclay initially seems like an unusual title to perform under, but the name is no moniker. Holding a Ph.D. in Oceanography from UC San Diego, Barclay's scientific distinctions include producing the deepest sound recordings in the world while measuring ambient noise in the Marianas Trench and recording the underwater soundscape that spans the 750 mile-long Mississippi River. All seriousness aside, the Canadian's academic background serves as a catalyst for an endless list of unorthodox ideas and projects that span across the past decade. His impressive résumé is packed with accolades that range from performing 24-hour long DJ sets in front of a live audience to conceptual appropriations in the realm of internet art installations and countless print works. As an integral member of bands from British Columbia, Québec and California, his unprecedented antics include live radio performances conducted over the telephone while feeding his live set through a series of webcasts, more telephones and even hijacked radio stations to produce reverb and delay that is physically produced by the broadcast of airwaves. 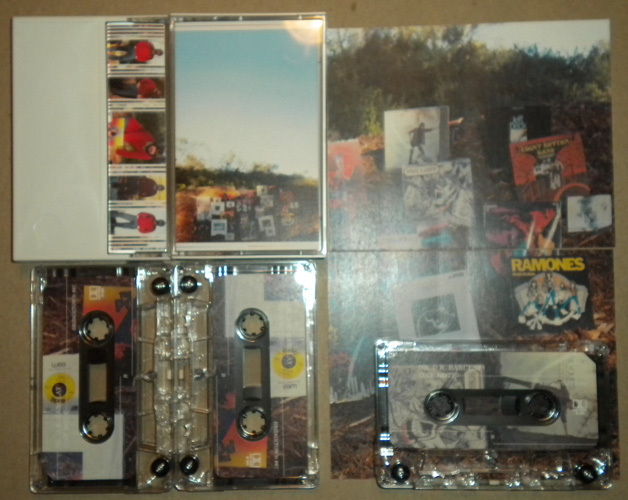 Edition of 100 chrome cassettes dubbed in real-time with full-color labels and doublesided printing on heavyweight gloss stock.